Booking Ellie Taylor will go down a storm at your special event! We are a booking agent for Ellie Taylor, and can arrange for her to entertain your guests. Ellie Taylor is the presenter of BBC3’s Snog, Marry, Avoid? and the current team captain on ITV2’s panel show Fake Reaction. Ellie is a complete natural when it comes to hosting, presenting and making audiences laugh with her loveable attitude, witty punch lines and hilarious stories. Ellie has appeared on guest panels, including 8 Out of 10 Cats for Channel 4, as well as other TV appearances such as hosting Greatest Tweets 2011 (Channel 4), Greatest Body Shockers (Channel 4) and Big Brother’s Bit on the Side (Channel 5). Ellie Taylor also made the semi-finals for Amused Moose and Funny Women in 2011, and won Company Magazine’s Lady HaHa Award. Contraband is the UK’s top booking agent, with amiable, experienced account managers who guarantee you the best deal possible. 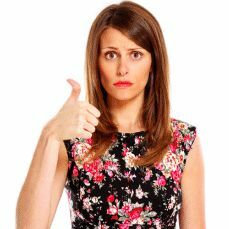 Contact us today if you would like to book Ellie Taylor to be the headline of your event! We as your booking agent are more than happy to help you create the most memorable moments with Ellie Taylor.